The ITFA works closely with many external organisations to enhance the quality of its services and keep its members up-to-date with recent developments. The African Export-Import Bank (Afreximbank), headquartered in Cairo, is a trade finance-focused development bank established in October 1993 as a multilateral trade development institution to finance and promote trade among African countries and between the continent and the rest of the world. As a profit-oriented multilateral institution with a mixed public-private shareholder base, it focuses on private and public sector loans, guarantees and advisory services. The Bank has Branch Offices in Abuja, Nigeria; Harare, Zimbabwe; and Abidjan, Cote d’Ivoire, and plans are at an advanced stage to open a Branch Office in East Africa. BAFT is the global financial services association formed by the merger of the Bankers’ Association for Finance and Trade (BAFT) and the International Financial Services Association (IFSA). China Chamber of International Commerce (CCOIC) is a nationwide business organization in China, representing the most dynamic and internationalized Chinese companies of all sizes, sectors, and regions, as well as national and local non-governmental organizations. CCOIC’s mission is to expand the international business relationship to the benefit of its memebership and, more, broadly, the Chinese economy. CCOIC served as the National Committee of International Chamber of Commerce (ICC) since China’s entry into ICC in 1994. 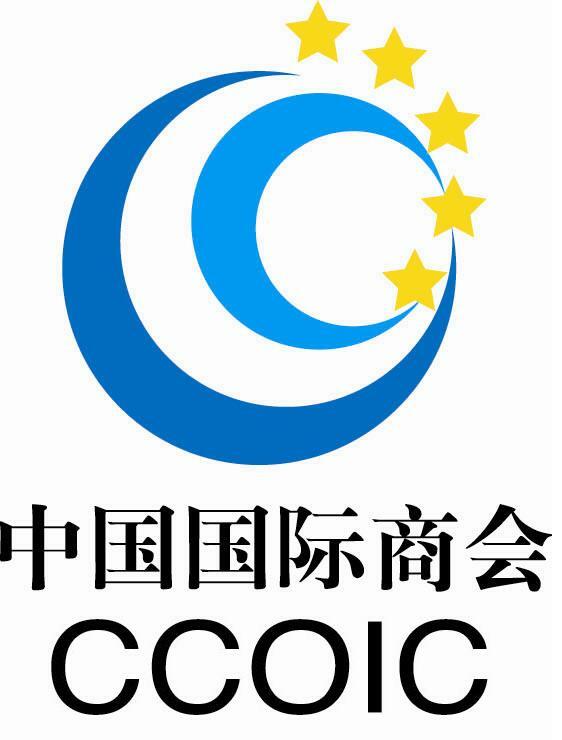 Headquartered in Beijing, CCOIC maintains a professional staff of policy experts, lawyers, trainers, event organizers, and communicators. Special initiatives covering banking rules, new energy, recycling resources, infrastructure, education and training, debt collection, and real estate mobilize the involvement and contribution of members with the backup of CCOIC branches and expert commissions. CUNEF is a leading Spanish university, affiliated to Universidad Complutense de Madrid and owned by the Spanish Banking Association (AEB), specialized in Finance, Business Administration, Economics and Law. Founded in 1973, CUNEF has been delivering world class education to than 8,000 students. Their undergraduate programs in Business Administration and Law are unique in Spain. Moreover, their graduate programs, executive education and bespoke company programs in Finance, Banking Law, Banking and Management of Financial Entities, Stock Exchange and Investment Analysis, Risk Management, Data Science and Management enjoy an excellent reputation in the market. CUNEF Alumni are a global community of business professionals in the 5 continents. They are proud of having trained CEOs and senior executives of banks, financial institutions and corporates; entrepreneurs and founders of small and big companies; leaders in Spanish Government and top civil servants. FCI’s Vision is to be the Global Association for the Open Account Receivables Finance Industry. With close to 400 member companies in 90 countries FCI offers a unique network for cooperation in cross-border factoring. Receivables Finance is the core focus of the association and includes Factoring, Invoice Discounting and other Supply Chain Finance solutions. ICC provides a forum for businesses and other organizations to examine and better comprehend the nature and significance of the major shifts taking place in the world economy. It also offers an influential and respected channel for supplying business leadership to help governments manage those shifts in a collaborative manner for the benefit of the world economy as a whole. The International Credit Insurance & Surety Association (ICISA) brings together the world's leading companies that provide credit insurance and/or surety bonds. Founded in 1928 as the first credit insurance association, the current members account for 95% of the world's private credit insurance business. Today, with almost USD 3 trillion in trade receivables insured and billions of dollars worth of construction, services and infrastructure guaranteed, ICISA members play a central role in facilitating trade and economic development on all five continents and practically every country in the world. ICISA, has its office in Amsterdam, the Netherlands. The International Investment Bank (IIB) is a multilateral institution for development that promotes social and economic development, prosperity, and economic cooperation between its member states. Main directions for its activities are the support of the small and medium-sized businesses and participation in financing socially significant infrastructure projects. The Bank provides loans primarily through leading domestic publicly owned financial institutions, development banks, export and import banks and agencies, or lends in partnership with other international institutions for development. The Berne Union is a non-profit international association, representing the global export credit and investment insurance industry. Members include government-backed export credit agencies, private credit and political risk insurers and multilateral agencies. Collectively their members provide payment risk protection for approximately 11% of world trade. The Berne Union’s mission is to actively facilitate cross-border trade by supporting international acceptance of sound principles in export credit and foreign investment. They provide a forum for professional exchange, sharing of expertise and networking amongst members and engage in collaborative projects with external stakeholders in the wider trade finance industry, including banks and financiers, regulators and policy setters, traders, academics and other associations. ISCTE Business School (IBS) is a leading Portuguese business school, with more than 100 full-time faculty members and over 3,500 students in 22 different degree programmes (6 BSc, 12 MSc and 4 PhD). The School is recognised both domestically and internationally for delivering impactful learning experiences in a multicultural environment, the excellence in international research, the engagement with the business community and the leadership in entrepreneurship and innovation supporting its exceptional employment rates. IBS is a public school emerging from the unit of management sciences created in 1972 that pioneered the teaching of management studies in Portugal, as educated managers at the time usually held either an engineering or law degree. The management undergraduate programme was created and refined mostly by managers and academics with close links to business management, leading to an innovative curriculum and a closer connection with the corporate world, ever since IBS’s inception. The school has also been a pioneer in entrepreneurship teaching, research and support. With its campus located in the heart of Lisbon, IBS mission is as follows: IBS, through teaching, research and outreach, contributes for the development of management knowledge and practice, and prepares and develops managers and leaders to make a positive impact on organisations and society, in a globalised world. ATI provides risk solutions for trade and investments in Africa. ATI's products broadly include political risk insurance and trade credit insurance. ATI's clients broadly include lenders (international and local banks) that are extending financing for projects undertaken by governments and private investors. They also include supplier credits to investors and private buyers. Risks insured include commercial, sovereign and sub-sovereign default. Political risks insured include expropriation, inconvertability, embargo, political violence, terrorism and sabotage, arbitral award default (mostly involving power purchase agreements). The London Institute of Banking & Finance provides outstanding education in the banking and finance sector, equipping individuals with the skills and knowledge necessary for career development and lifelong learning. Their qualifications are specific to role requirements, designed in collaboration with industry specialists to meet the demands that the banking sector expects. Balancing experience and insight with thought leadership, their learning is based on contemporary real life rather than text book theory. It means their students gain the recognised professional status for sector employment and are better prepared to advance within the industry. World of Open Account (WOA) is an inclusive global Community of professionals and companies, engaged in open account receivables finance. WOA ’s mission is to be a networking, competence and innovation centre for its members. Open account business – buy now, pay later – drives economic activity worldwide. It’s a key contribution to global growth. Finance specialists fund and protect this business with receivables finance solutions. Development Institutions, Regulators, Lawyers, IT Suppliers, Fintechs and Academics work with these suppliers to create a whole open account ecosystem. WOA is their professional community. Open & accessible for all. Collaboration-based. Digitally driven. Focused on innovation and knowledge. Sullivan & Worcester are legal advisors to the ITFA. They have been instrumental in the setting up of the ITFA Guidelines. ITFA Conferences are organized by MCI Scandinavia AB. This information based site is aimed at introducing exporters, importers and financial institutions to the benefits of forfaiting. The specialists choice for news, views, features, case studies, interviews and data on global trade finance, forfaiting, factoring and export finance. Thre are no Training Partners listed.